The Scottish Contemporary Pop/Rock Music Centre opening March ! When I said The History of Scottish Music Centre (The Scottish Contemporary Pop/Rock Music Centre when dealing with Creative Scotland or Edinburgh Council) would definitely open in March I realised it wouldn’t be the best fund raising thing to say. The trick with crowd funding in particular is to have a target and then drum up support on the basis nothing will happen unless the target is reached. A very reasonable premise in most cases. So just to be clear there are a lot of opportunities available to a well supported centre. As I’ve already said the extent, size and location will be determined by the initial support. I’m not holding my breath waiting for any arts funding and the council certainly want to help but if all else fails I will be able to get a basic model up and running myself. However while some opportunities are not time sensitive others are and it would be a huge shame to lose them due to lack of funds. Many artists and bands have already offered their support which is greatly appreciated and in a way the centre will be very focused on bringing Scottish music new and old to visitors but what is needed now is help from those who are already well aware of the wealth of great Scottish music produced over the last five decades. Supporting local Scottish bands was never a financial decision. 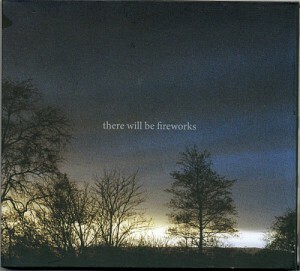 Selling lots of Bright Eyes albums meant we could support Withered Hand and Meursault for instance and when they started to do well that enabled us to support the next wave of new bands like There Will Be Fireworks. Of course now that idea is squeezed at both ends and at the expense of reaching new people. More later in the week and many thanks to all those who have already been in touch.